A dental implant has a specially treated post that is inserted directly into the jawbone where it gradually heals and integrates, becoming part of you. In order for an implant to be a success, it needs to be surrounded by a certain amount of bone. If you lost teeth some time ago or have had severe gum disease, it’s quite possible you may have lost bone. In addition, badly infected teeth may also be eating away your bone!A bone graft will replace this lost bone, helping to ensure treatment is successful. Additionally, building up your jawbone will help create a more aesthetically pleasing result so that your new implant teeth look beautifully natural. 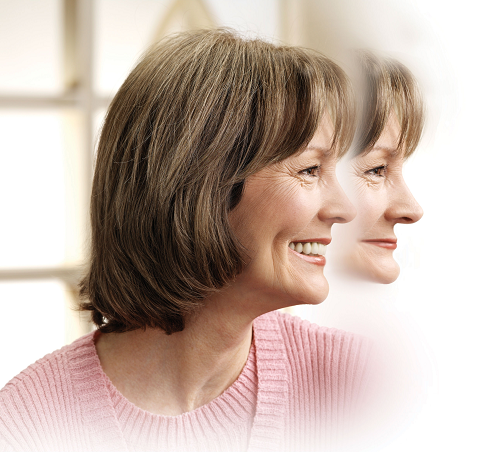 Dr Poulos may suggest you have a bone graft to build up the height of your jawbone or to increase its width. If you only require a tiny amount of bone, it might be possible to carry out your bone graft at the same time as placing your dental implant. Dr Poulos only uses the highest quality bone grafting materials that are highly biocompatible, encouraging the growth of new bone cells and creating strong and healthy new bone. Bone grafting is a technique routinely carried out as part of dental implant treatment so there is no need to worry if you require this procedure.